Discussion in 'Everything Else Archive' started by 62Tele, May 8, 2016. 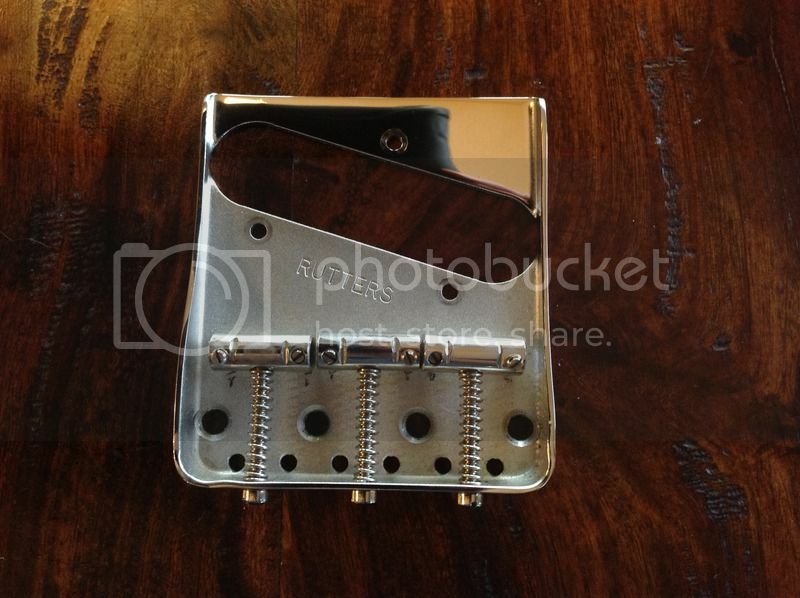 Rutters double cut Tele bridge with steel saddles, used but in very good condition. Saddles are compensated. I had this on a couple of different guitars and it was perfect on one, had some buzzing on the other, so, as always, it's about neck angle etc.